Viks (Post Pals team) is turning 30 on the 21st of December and has published a list of things she would like to do but can’t. 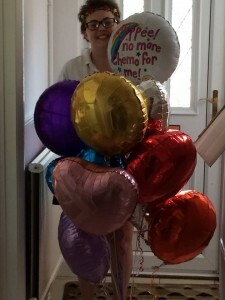 She is turning to the internet to ask people to help carry out the wishes on her behalf. Several benefit Post Pals or similar causes, including learning the signs of childhood cancer and how to support parents who have lost a child. If you have read any of the Pals pages then you are bound to have seen lots of mentions of our special volunteer Dottie. 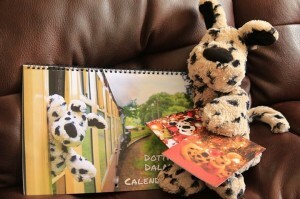 Dottie is a cuddly Dalmatian who writes to the children. Her letters are packed with photos of her adventures and all the children receive their own cuddly ‘littermate’ to have adventures with. It’s our most popular but also most expensive scheme. This year Dottie is selling Christmas cards and 2015 calendars featuring her adventures and some of the children. Please consider ordering some cards or a calendar. Every single penny raised will be spent on sending more stories of adventures to Post Pal children and buying ‘littermates’ for all the children who join Post Pals next year. Tyanna has Neurofibromatosis which causes tumours to grow throughout the body. Big thank you to Kim Broadley who organised this and One Direction. 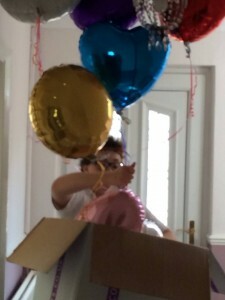 Sapphire is sent special balloons! 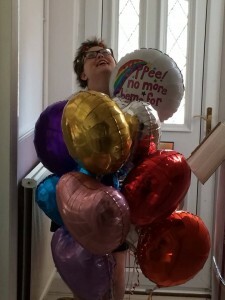 We often send balloons to Pals and siblings but recently sent the largest balloon bouquet in Post Pals history. It was for a very special occasion. Sadly lots of Pals have joined Post Pals with terminal cancer and our aim is to fill their last few months with smiles. 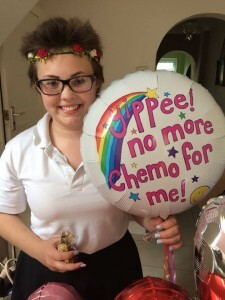 Sapphire joined Post Pals with terminal cancer and was on palliative chemotherapy only to try and hold the cancer back for as long as possible. Sapphire has now moved on from Post Pals as she is in complete REMISSION. She is cancer free and no longer needs chemotherapy or any treatment!